Check out our expert panel of bloggers…Super-Star Stephanie the “killer” trainer and Henrietta, Houston PetTalk’s Hound About Town and “Rover-ing” Reporter. They will inform you, challenge you and most of all, entertain you! Stephanie Bennett grew up in a big Texas family where the dogs always outnumbered the people. After spending several years as a teacher in Los Angeles, Stephanie decided to combine her talent for teaching and her passion for dogs. She returned to Austin, Texas and attended the prestigious Triple Crown Dog Academy, the world’s leading educational center for professional dog trainers, and became a Certified Canine Trainer and Behavior Specialist. Back in Los Angeles, Stephanie was the Director of Training at the world renowned L.A. Dogworks, considered LA’s premiere dog daycare, boarding and training center. She has literally helped hundreds of dog owners develop better relationships with their pets, and includes among her clients Academy Award winning actor Forest Whitaker, “Late Late Show” host Craig Ferguson, “Boston Legal” star Tara Summers, and Vivian Kubrick, daughter of the late director Stanley Kubrick. Stephanie also recently served as the associate producer and on-set consultant of Bobcat Goldthwait’s Sundance Film Festival hit, “Sleeping Dog’s Lie”. As a result of her comprehensive education and hands-on experience, Stephanie has expertise in a wide variety of solutions to dog behavior problems, as well as dog training in the areas of obedience, puppy imprinting, agility, and Canine Good Citizen preparation. Because each dog is unique and responds differently to certain techniques, Stephanie works with her clients to create a custom training program addressing the individual dog’s needs while meeting the goals of their human companion. Stephanie is excited to be back in her home state, where both her dogs–Cowboy and Hud–were rescued. Hi, I’m Henrietta, the hound about town for Houston PetTalk, a.k.a. the “rover”ing reporter. For those of you who don’t know me, I’m passionate about several things; food, food and food (and chasing annoying cats). I write a column every month in Houston PetTalk and now I’m so excited my tail is about to fall off because I get to bloviate more often and I get more space with which to espouse my thoughts, dreams, ambitions, politically incorrect views and profound observations. Since 1988, Jim Burwell’s grass-roots, in-home dog-training business has grown to become Jim Burwell’s Petiquette. Motivated by his love for dogs and armed with his proven methodology, Jim has successfully trained over 20,000 dogs in 20 years. Jim has spent the better part of his career working with owners in their home evaluating their dog problems – many of these dogs with aggression issues towards other dogs or people, territorial aggression, adolescent and boredom behaviors, resource guarding, separation anxiety and more. Jim Burwell’s success has led to high-profile dog training assignments, with both local and national acclaim. He was recognized by the Houston Chronicle’s Texas Magazine as “Houston’s Dog Whisperer,” is the founder of Texas Dog Training and a past President of Lone Star Search & Rescue Dog Association. He founded Rover Oaks Pet Resort and trained “Radar” the weather dog, who was a celebrity dog owned by NBC’s affiliate station, KPRC-TV in Houston in addition to training Mogie, a Labradoodle, for Ronald MacDonald’s House. He has trained dogs for television commercials and theater productions. Among his students was “Sandy,” the dog featured in the musical production of Annie in 1998 at Houston’s Wortham Theater. He was also selected “Best Dog Trainer in Houston” by the readers of the Houston Press and appointed “Training Section Chair” for the Pet Care Services Association formally American Boarding Kennels Association, an organization created to adopt both national and world standards for pet industry services. He is a member of Association of Pet Dog Trainers and International Association of Canine Professionals. Chrissie DeCesare, owner/trainer of Paw It Forward Training, LLC, has always felt like one of the “lucky ones” because she has a natural bond with animals, and the ability to communicate with their human counterparts with ease. Chrissie earned a Bachelor’s degree in Business Management and Government from Texas Woman’s University. After spending time in the corporate world as a marketing guru Chrissie always felt something was missing. When not sitting in her office or cubicle, countless hours were spent training foster and shelter dogs, and utilizing multiple educational opportunities and resources related to dog training. Combining her marketing and management skills to start her own dog training company made sense, so Paw It Forward Training, LLC was born! Chrissie is an active member in the community, especially when it comes to supporting the efforts of Houston area shelters and rescue organizations. She is currently working with several rescue organizations to develop a program to help foster parents and adopters with the adjustment period of having a new dog , as well as continuing training education. 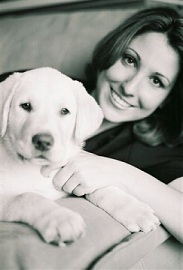 In 2010 Chrissie held the position of Events Committee Chair for the Houston Dog Park Association. With the help of the amazing Events Committee team they raised more money than in previous years to help bring a dog park to the NW Houston area. Also in 2010 one of Chrissie’s dogs, a rescued Chihuahua named Calvin, won the title of Derek Dog. This is an amazing accomplishment for many reasons—Calvin is the first little dog to win the title, as well as the first rescued dog to win. Not bad for a dog whose previous owners tossed it out like trash. Chrissie is now working on starting a Therapy Dog program for the local Women’s Center, along with a few other “top secret” projects! Contact Paw It Forward Training, LLC at 281.841.1963 or www.pawitforwardtraining.com. 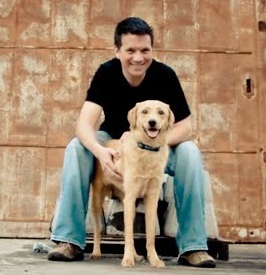 Michael Baugh is the director of training and behavior at Rover Oaks Pet Resorts in Houston and Katy, Texas. He’s been a professional dog trainer and behavior consultant since 1999 when he founded North Coast Dogs in Cleveland, Ohio and later Michael’s Dogs Training and Behavior in Houston, TX. handled cases of aggression in dogs, extreme timidity and fear, separation anxiety, unruliness and hyperactivity, destructiveness, compulsive barking, and even a case of canine “grief” and depressed behavior. He has also successfully trained several deaf dogs. In addition to those complex issues, Michael enjoys coaching people through the normal developmental stages of puppy-hood and canine adolescence. Haute Pets comes to YOU to provide professional pet grooming services in a clean, stress-free atmosphere. Their mobile salon is fully equipped to pamper your dog or cat with luxury shampoos, hydrotherapy massage, dental health, nail care, facials, and more. As your Houston area pet groomer, they bring service, convenience, and quality pet care to your doorstep!